Another restaurant I have been working with is Elliott's Oyster House, rated the number one Oyster House in America [Food and Wine]. Located on the historic Pier 56 in Seattle, Washington, Elliott's is a classic, fine-dining restaurant based around the experience. 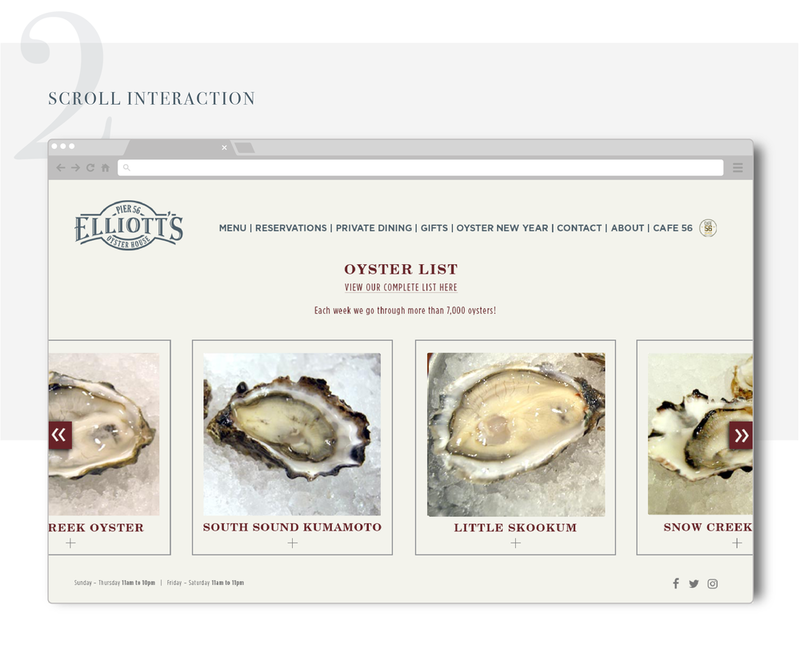 Elliott's Oyster House wanted to refresh their website and gift card to better represent the atmosphere of the restaurant.